Years ago, I received a lovely gift -- a beautiful tin filled with many different kinds of homemade Christmas cookies, When I asked the gift giver how she managed to bake so many varieties, she shared her (and Martha Stewart's) secret: Make one dough, divide it and add a different flavoring to each. 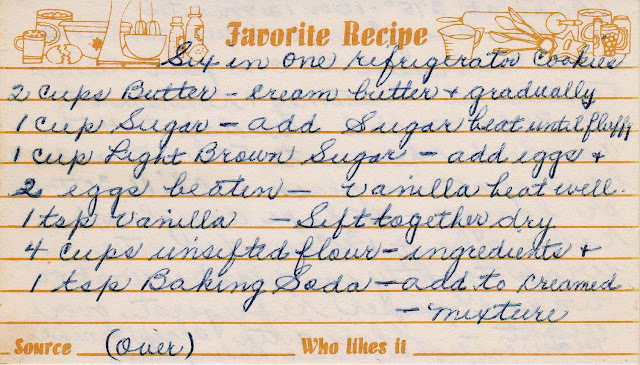 And so I was delighted to discover this same concept among my collection of vintage recipes. 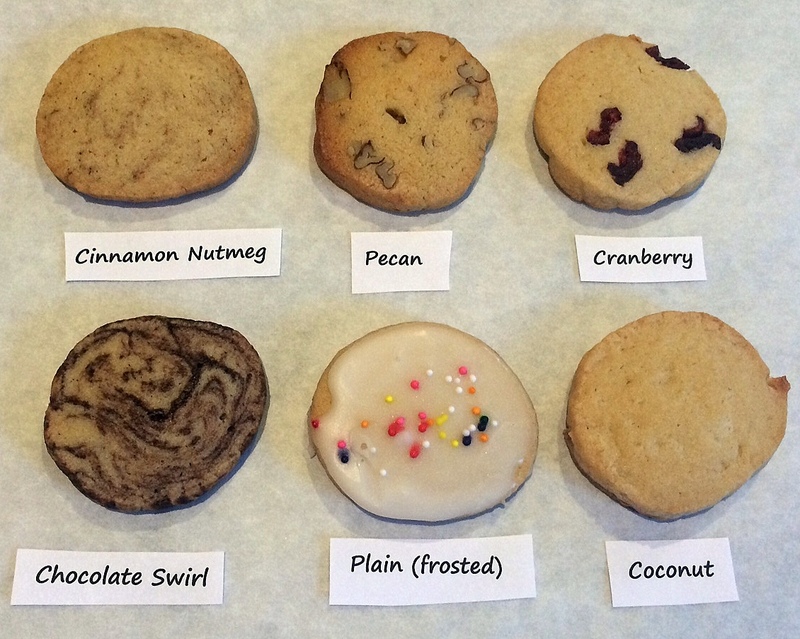 This is the perfect cookie recipe if you're in need of a variety quickly. After making one simple dough, divide it into six equal-ish portions and add flavorings to five, leaving one plain (to be frosted later, if you like). 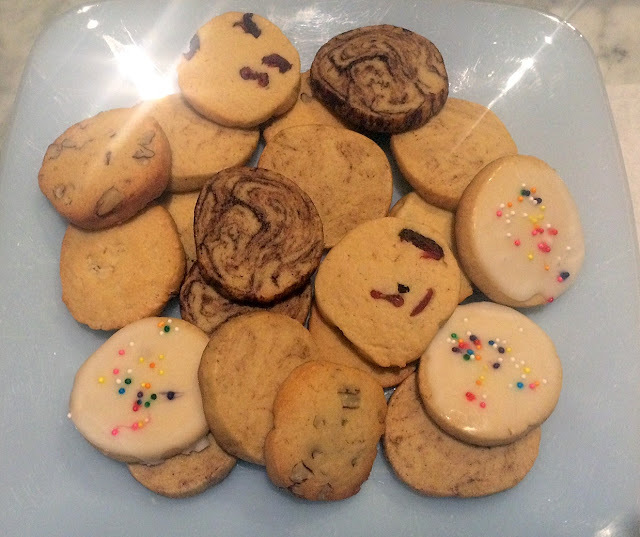 The recipe is very, very forgiving -- I misread it and used half the amount of butter called for and used baking powder instead of baking soda -- yet the cookies came out great and were inhaled by the staff at my workplace. And by the DH, a real cookie lover. Who ever said baking is a science? My guess is that with a larger amount of butter, the cookies would be even richer. 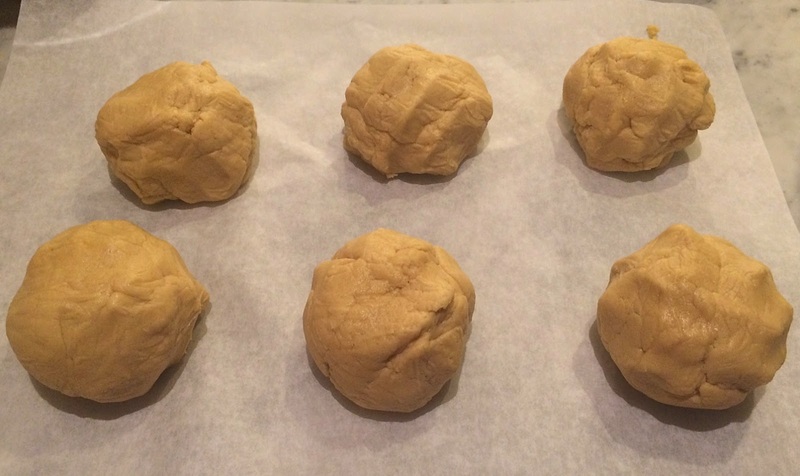 Refrigerator cookies are especially quick and easy; no need to roll the dough and stamp with cookie cutters. Instead, it is rolled into logs, refrigerated overnight (or several hours) and then simply sliced. The dough is easy to mix together, as long as your butter (whichever amount you use) is softened. It was very easy to work, not sticky at all. Form into six balls. Don't sweat the size, just approximate. Gather your flavorings. I didn't have the candied cherries specified, so I substituted dried cranberries with great success. 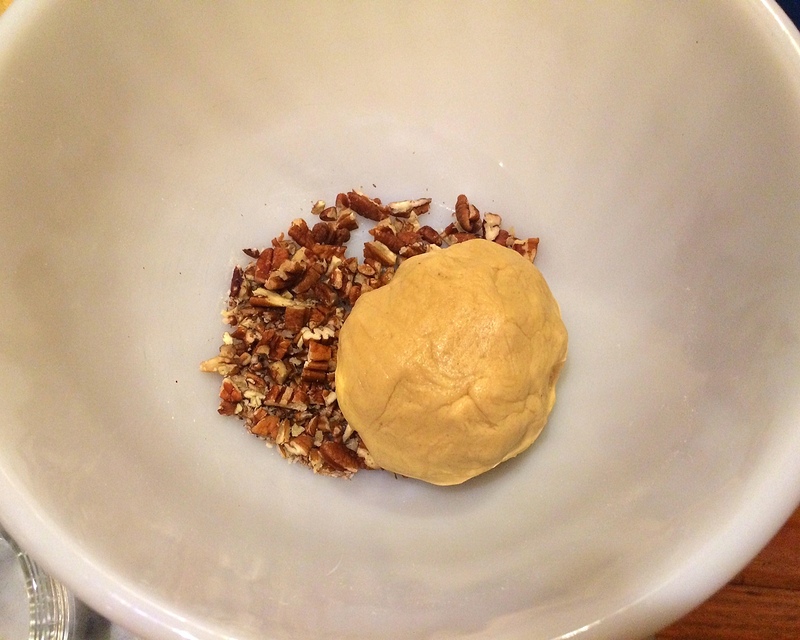 You needn't measure the amount of ingredients -- you'll know what looks right. And you can always add in more. And relive your childhood Play-Doh fantasies by incorporating the ingredients with clean (or, in my case, non-latex gloved hands). Just wipe out the bowl, and repeat the process. Mix the chocolate one last. Roll into logs, wrap each in plastic wrap and refrigerate overnight. The next day, slice each log into coins. Place on a baking sheet. 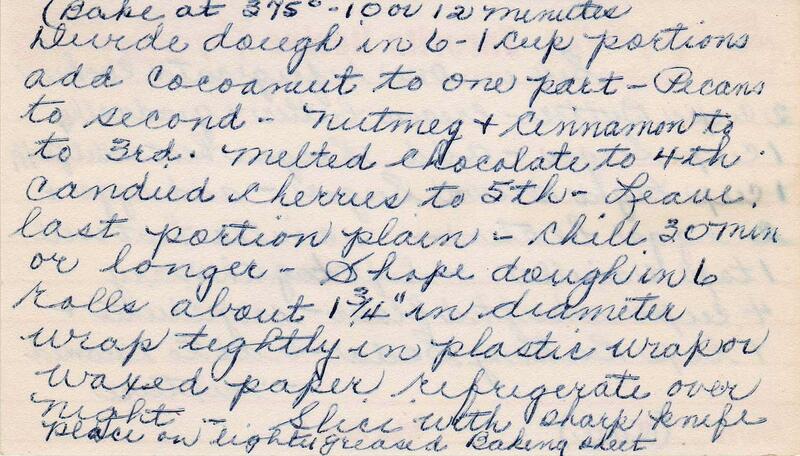 The recipe card has all the information, but because it's so jumbled, I wrote out the recipe below it. Production notes: These keep very well and even with the reduced amount of butter were still fresh ten days after baking. I would recommend cutting the butter amount in half, and use just one cup. As for the flavorings, I gave some approximate amounts, but you can adjust to taste. 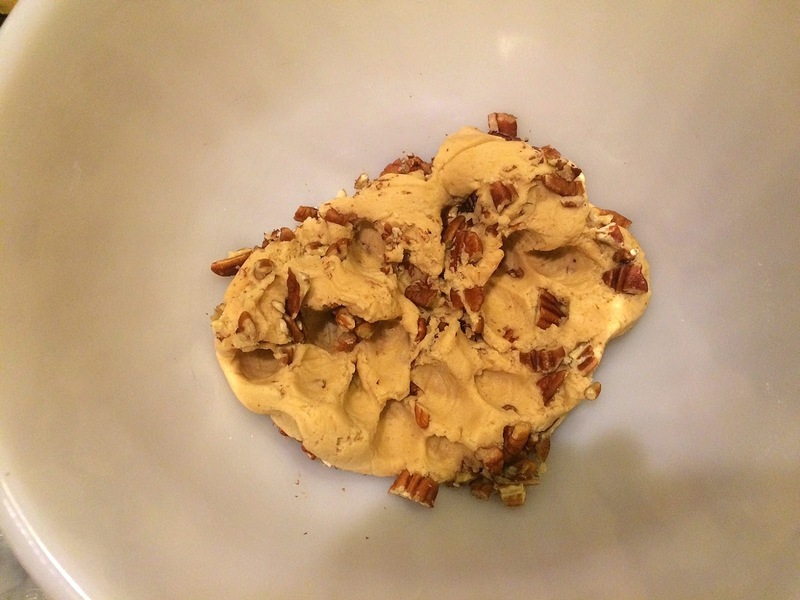 For the chocolate cookie, you can mix further to achieve an all-chocolate dough -- I didn't because I liked the swirl. I frosted the plain cookies by making a simple frosting of confectioners' sugar and milk. I then dipped the tops of the cookies in the frosting. Cream the butter (which is at room temperature). Gradually add the sugars, beating until well combined. Form into six one-cup portions. 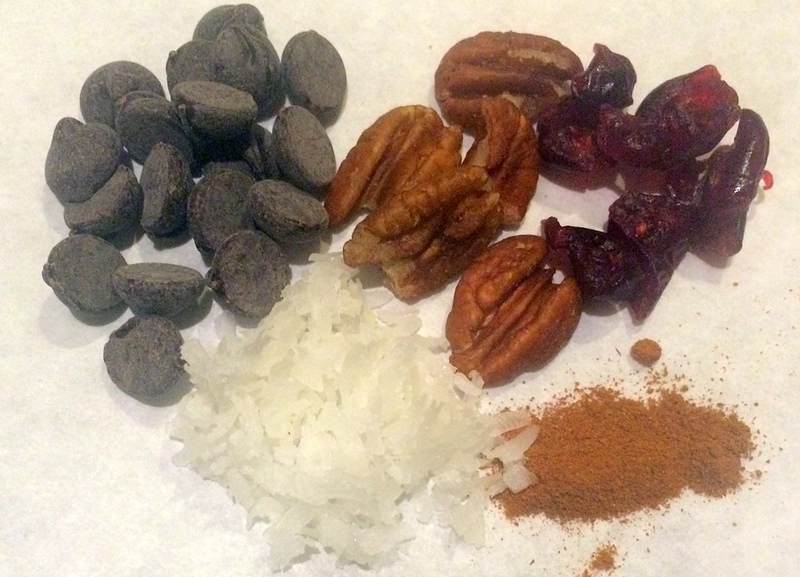 Keep one portion plain and to the others add: 1/3 c. coconut; 1/4 c. melted bittersweet chocolate; 1/4 t. cinnamon and 1/8 t. nutmeg (or to taste); 1/4 c. dried cranberries or candied cherries. Form into logs, wrap in plastic wrap and refrigerate overnight. 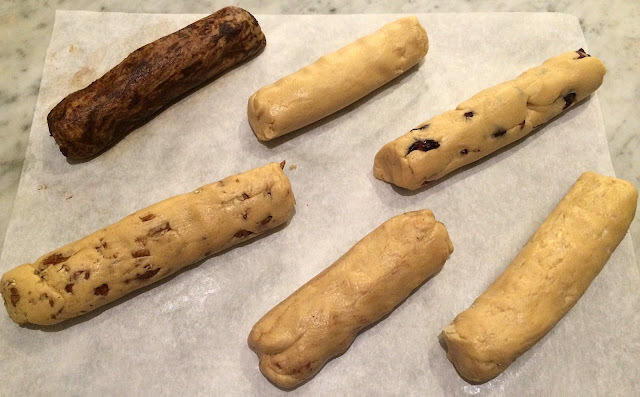 Slice logs and place cut cookies on parchment-lined cookie sheets. Hello, how large are the slices please? 1\4 inch or 1\2 inch please? Thank you. You can slice them however thick you want them. A thinner cookie will be crispier and bake faster. Mine were sliced somewhere between 1/4 and 1/2 inch. The logs themselves should be about 1 3/4 thick (or even larger if you want larger cookies). This is a very forgiving recipe.